Item # 307531 Stash Points: 3,195 (?) This is the number of points you get in The Zumiez Stash for purchasing this item. Stash points are redeemable for exclusive rewards only available to Zumiez Stash members. To redeem your points check out the rewards catalog on thestash.zumiez.com. 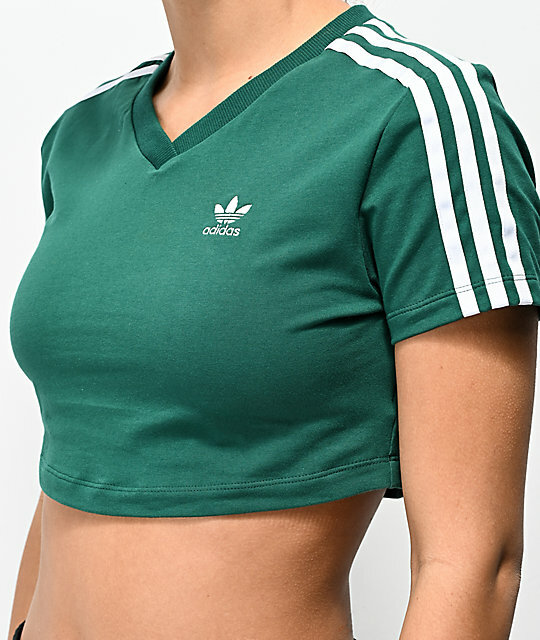 Add some edge to your athleticwear, with the adidas 3 Stripe Trefoil Green Crop T-Shirt. Featured in a striking green construction, this tee is highlighted by an embroidered Trefoil logo at the left chest and applique three stripe detailing lining both sleeves for a prominent splash of iconic branding. Finished with a short-cropped fit, this shirt is ready to add an edge of fashion-forward flair to all your layered looks. 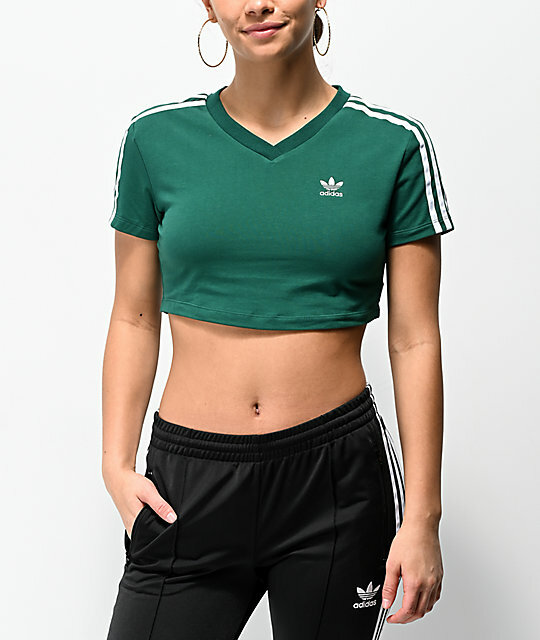 3 Stripe Trefoil Green Crop T-Shirt from adidas. 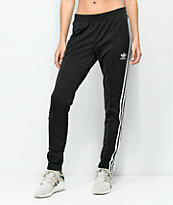 White adidas Trefoil logo embroidered on front. Three textured white stripe appliques down sleeves.